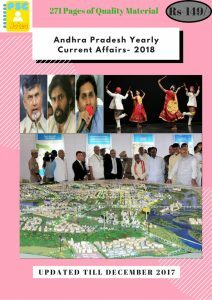 Andhra Pradesh spends big on e-Pragati, but few takers among babus. The state government is spending 5 lakh on each of the IAS, IPS and other all-India-cadre officers chosen to be trained for the e-Pragati platform. Keen on taking governance completely to the e-platform, the state has roped in Indian School of Business (ISB) to train the officers in “Digital Transformation on Public Governance”. At the end of the six-month course, the officials will be designated as chief information officers (CIOs), who can monitor e-options and measures in the department they are working. About 170 officials to participate in the training programme but only 80 officers, including six IPS and one IFS, are currently taking lessons. First container rake to Nepal flagged off from Vizag. The first rake to Nepal, comprising 90 containers, was flagged off by Visakhapatnam Port Trust Chairman M.T Krishna Babu at the Visakha Container Terminal Private Limited (VCTPL). Visakhapatnam to compete with Kolkata-Haldia by reducing the logistics cost, though the latter had the advantage of much shorter distance. Exporters and importers of Nepal were evincing interest in Visakhapatnam and, as of now, only container cargo was being allowed. At a later stage, bulk cargo might also be considered. The United States cleared the sale of the state-of-the-art Guardian 22 unmanned Guardian flights to India. The deal to sell Unmanned Aerial Vehicle (UAV) flights to India is estimated to be worth $2 to $3 billion. The transfer of the state-of-the-art UAV technology to India will be the first significant progress after India’s entry into the exclusive Missile Technology Control Regime (MTCR) and after the US has designated India as a major defence partner. Last year, the Indian Navy requested for this Intelligence, Surveillance, and Reconnaissance (ISR) platform. United States to sell C-17 Globemaster Transport Aircraft to India. Venkaiah Naidu elected 13th Vice President of India. Former union minister Muppavarapu Venkaiah Naidu (68) was elected as 13th Vice President of India. He will succeed Hamid Ansari, who held the position for two consecutive terms of 5 years. With this victory, BJP has occupied top three constitutional posts of India- President, Vice-President and Prime Minister. The election for the Vice President is conducted through a secret ballot where only members of both the Lok Sabha and Rajya Sabha get to vote. Members of Parliament will use special pens for marking their choice. Votes marked with any other pen are liable to be rejected. In the Presidential poll, elected members of all state legislative assemblies, including Delhi and Puducherry, also participate in the voting. A person needs to satisfy the following prerequisites to become a Vice-President. 2) Is at least 35 years old or above. 3) is qualified to become a member of the Rajya Sabha. 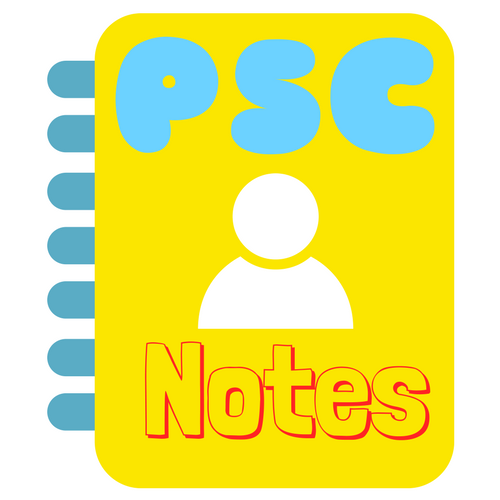 A candidate’s nomination paper needs to be subscribed by at least 20 electors as proposers and at least another 20 electors as seconders. And a security deposit of Rs 15,000 will be collected from each candidate. As per the Article 324 of the Constitution read with the Presidential and Vice-Presidential Elections Act, 1952 and the Presidential and Vice-Presidential Elections Rules, 1974, the responsibility of the “superintendence, direction and control” the Vice-Presidential election lie with the Election Commission of India. and from Lok Sabha, 543 elected and 2 nominated. The total members in the Electoral College are 790. 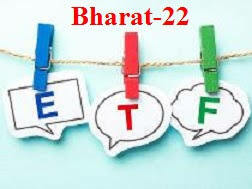 Finance Minister Arun Jaitley announces new ETF-Bharat-22. Finance Minister Arun Jaitley launched a new ETF under the name Bharat 22, which will comprise shares of 22 companies. The Finance Minister said that Bharat-22 ETF will comprise of the government’s holding in SUUTI, CPSE ETF and PSU banks. Among the 22 stocks, IOC, BPCL and NALCO will have 4.4 per cent weight each in Bharat-22. Power Grid will have 7.9 per cent weight, while Axis Bank (7.7 per cent), SBI (8.6 per cent) and Coal India (3.3 per cent) ITC (15.2 per cent), ONGC (5.3 per cent), NTPC (6.7 per cent) will have 3-15 per cent weightage in the ETF. It will help to speed up Government’s disinvestment programme budgeted to raise a record Rs 72,500 crores in Fy 2018. An exchange-traded fund (ETF) is an investment fund traded on stock exchanges, much like stocks. An ETF holds assets such as stocks, commodities, or bonds and generally operates with an arbitrage mechanism designed to keep it trading close to its net asset value. An ETF is a type of fund. It owns assets (bonds, stocks, gold bars, etc.) and divides ownership of itself into shares that are held by shareholders. The details of the structure (such as a corporation or trust) will vary by country, and even within one country there may be multiple possible structures. ETFs were started in 2001 in India. They comprise a portfolio of equity, bonds and trade close to its net asset value. These funds mainly track an index, a commodity, or a pool of assets. Safexpress sets up its largest south India logistics park in Hyderabad. 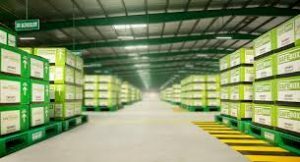 New Delhi-based logistics player Safexpress Private Limited announced that it has set up its largest logistics park in the south on the outskirts of Hyderabad at an investment of Rs 30 crore. Spread over 4 lakh sft, the logistics park has the infrastructure to simultaneously load and unload 80 trucks at a time in all-weather conditions. On the impact of GST on the logistics sector, while the cost on the transportation front has shot up by 10-15% (as there is no GST on diesel and the road congestion too is adding to in efficiency), the cost on the inventory and warehousing side is expected to come down by 20-25% due to uniform taxation. Meaning of Economic and Social Development. Human Development Index (HDI)and Human Poverty Index (HPI).